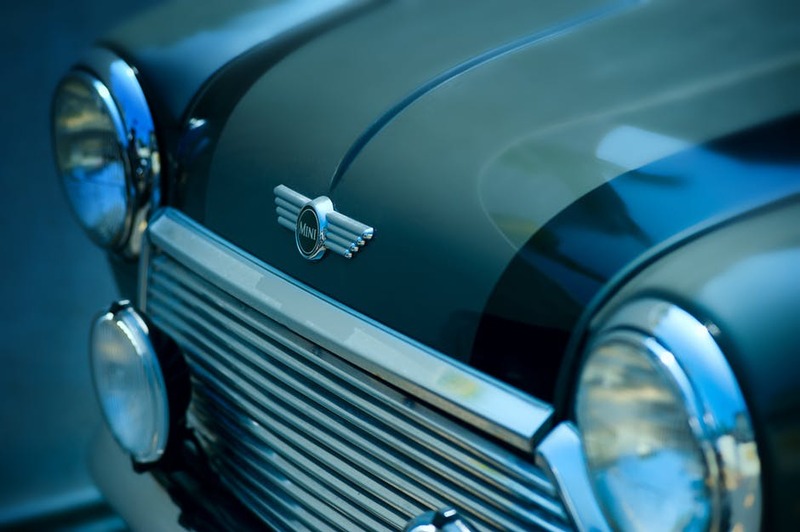 The original Mini was produced from 1959 by the British Motor Corporation, which during its operation helped to produce many iconic British vehicles, including the Morris Minor, the Austin A99 Westminster and the Austin Farina – considered by many to one of the first mass-produced hatchback vehicles. Mini produced some models up until 2000 when the brand was relaunched with a new and modern design that retained the original quirkiness of the original Minis. Some older models remain highly collectable, with some enthusiasts clubs out there for fans of older Mini vehicles. The Mini, with its unique shape and nippy driving ability, has become a symbol of the automotive history of Britain. Featured in many iconic television programmes and Hollywood movies, it has become a symbol in its own right. The Italian Job (both the original 1969 Micheal Caine classic and the 2003 remake) – seen as a classic heist movie and involving one of the most iconic car chase scenes in cinema history through the streets of Turin, the Italian Job helped to catapult the image of the Mini into film history. Mr Bean – one of Britain’s most successful comedy exports, Rowan Atkinson’s bumbling but lovable buffoon drove an ‘applejack-green’ Mini Mk II, and could often be seen in a constant battle for road space with a rival vehicle – a blue three-wheeler, often causing it to tip over on its’ side. Magical Mystery Tour – George Harrison of Beatles-fame owned a Mini decorated with psychedelic colours, which appears in this 1967 movie inspired by the Fab Four’s travels in India. The Bourne Identity – in the first of this high-octane film series starring Matt Damon as a hitman trying to piece together his memories, Jason Bourne practically buys Franka Potente’s clapped out Mini Mayfair on the spot and proceeded to lead the police on a chase through the narrow Parisian streets. Goldmember – Micheal Caine returned to driving a Mini once more during the third of the Austin Powers spy-parody movies in 2001, this time in an updated Mini Cooper, decked in Union Jack colours of course. Goodbye Pork Pie – this iconic road movie from New Zealand involved a couple of misfits leading the police on a mad-dash from the North to the South of the country, having to sell bits of their yellow Mini along the way to afford petrol during the pursuit. In 2001, Mini (now owned by BMW) relaunches with a new and modern design that still encapsulated the attraction of the original Mini. Retaining the iconic vehicle shape, the newer models such as the One and the Clubman have helped to modernise the brand, even going so far as to develop convertible and estate models along the way. Mini continues to be a popular brand both in the UK and abroad, with the new-style Minis proving particularly popular across the pond thanks to its compact size and charm. Specially-built Minis were once a feature in British motorsport, triumphing in events such as the British Rally Championship, various rally events around the world and even winning the iconic Monte Carlo Rally several times during the 1960s. Mini also entered the World Rally Championship a couple of times with cars based on the newer models, and several Minis also made an appearance in the opening ceremony of the London Olympics in 2012, further cementing its’ place in British automotive history. Old-style Minis, particularly pre-2000 models are still highly collectable, and owners of older models can normally find spare parts on online auction sites, at breakers’ yards and through fellow enthusiasts. If you have a soft spot for Minis and are looking to purchase one to either renovate or just to collect, bear in mind that the cost of specific Mini insurance may be affected by the age of the vehicle, so it can be good to have accumulated some No Claims Discount to reduce your premiums.